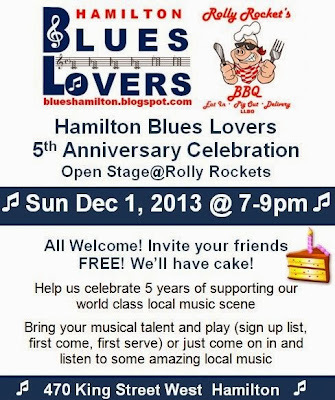 On November 29, 2008 I put an ad online to start a new organization called the Hamilton Blues Lovers. For five years I've been on a wonderful musical journey that has changed my life forever. At first, I was just an occasional local music fan venturing out once in a blue moon. I spent three years dealing with health issues (both my own and my family's). This wake up call made me realize I should be enjoying every minute of life! My interest in local music turned into a passion but there was still a stumbling block. Very few people I knew realized just how much amazing talent was in their own community. I would end up going to shows alone and being a shy person by nature, I didn't interact much with other fans. The Hamilton Blues Lovers was created as a way to break me out of my shell and find like-minded music devotees. I placed the ad online and the HBL was born. This has been a life-changing personal journey for me. It is through it that I learned how to enjoy life more. I was also extremely lucky to meet Linda, the love of my life, as part of the social group. She makes music that much sweeter! I'd like to thank all the new friends I've made throughout these past five years. 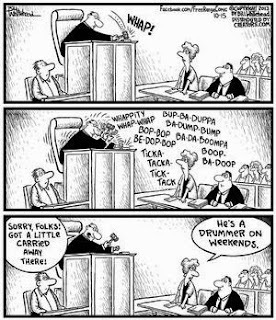 To all the musicians: keep up all the good work. I look forward to many more years of supporting the local scene! To help celebrate five years of incredible local music, I'd like to invite everyone to Rolly Rocket's on 470 King St W, to join in the fun with a musical Open Stage on December 1, 2013 at 7pm. Both musicians and fans are encouraged to pop in and enjoy! 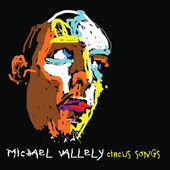 If you prefer variety in your music, then Circus Songs, the incredible latest disc from local singer/songwriter Michael Vallely is for you. Recently nominated for a Hamilton Music Award, the album deftly explores a lot of musical territory. Though always grounded in the folk/roots tradition, the songs range from pop, Celtic, Country, a touch of Reggae and even a little bit of Rap. Michael handles it all with distinctive vocals, outstanding songwriting and a wonderfully twisted sense of humour. You can pick up the CD at any of his live show or download it through iTunes. Video below courtesy of Hamilton Blues Lovers. 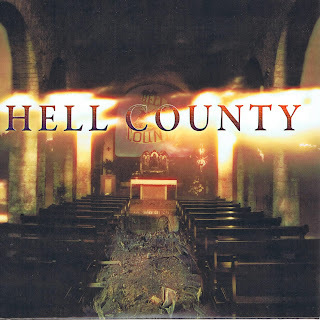 The self titled debut CD from local power trio, Hell County is not for the feint of heart. This is stunning, raw, super-heavy rock with a blues soul. The powerful, gritty voice and infectious, loud guitar workouts of Wayne Janus set the stage for the whole disc. Tony "Rush" Wachnuik (bass) and Robin Houston (drums) meet him blow for blow as they create a shack shaking sound guaranteed to wake the neighbours. This ain't just head bangin' music either. There's enough boogie infused in here to make you shake your booty as well as your head. If you think you can handle it, you can pick up a CD at one of the band's (or Wayne's solo) live shows. It can also be downloaded through cdbaby or iTunes. Video below courtesy of Hell County's YouTube page. Lori Yates (vocals, guitar), Brian Griffth (guitar), Michael Hickey (Trickbag) (bass), Nick Burson (drums), Duane Rutter (backup vocals on Simcoe and So Long Marianne), Cindy Dell & Judi Rideout (backup vocals on So Long Marianne). 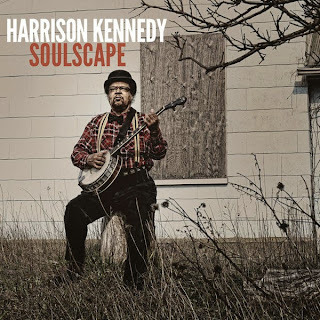 There's a good reason area Bluesman Harrison Kennedy's latest CD, Soulscape (from Electro-Fi Records) recently helped him win four Hamilton Music Awards: It's just that good! With this astounding album, Harrison has successfully fused his soulful R&B sound with the country Blues. This is Mississippi meets Motown! The legendary musician works hard on this disc. Not only does his dynamic voice sound as great as ever but he also deftly handles banjo, mandolin, harmonica, spoons, fife, percussion and more. With Keith 'Happy' Lindsay on keys and Alec Fraser on percussion, the band is up to the task of helping Harrison fulfill this unique sound. Justin Dunlop ably lends his bass and guitar talents to one track as well. You can pick up this wonderful CD at his live shows, Picks N Sticks, or though the Electro-Fi website. It can also be downloaded through eMusic or iTunes. The 2013 Hamilton Music Awards were handed out on Saturday, November 16 (Industry) and Sunday, November 17 (main). As always, it was an incredible celebration of the best music this city has to offer. There was amazing music throughout the Hammer! The big winners were Harrison Kennedy, who took home four trophies as well as a lifetime achievement award and hard rock band Monster Truck, who won seven awards. Here's a sampling of the winners! 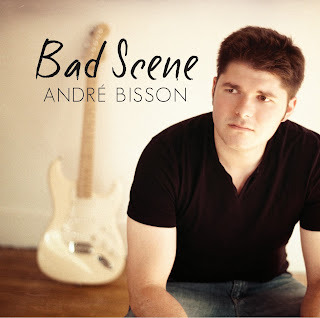 Local bluesman Andre Bisson's latest CD, Bad Scene recently earned 7 Hamilton Music Awards - and with good reason! 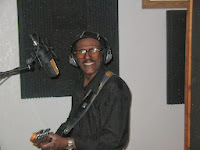 Andre's usual tasty blend of blues, swing, R&B, and soul have received an extra shot of energy. His voice is more powerful than ever and the hot band is right there with him. The albums packed with incedible numbers: the hard drivin' Soul Survivor, the cool boogie of the title track, straight ahead blues rock (Wasting Time), slow soulful numbers (Ever Since You Went Away) and an excellent cover of Jimi Hendrix's Remember. Rounding out this killer main band is Loretta Hale (Trumpet), Brad Cheeseman (Bass), Matt Burns (Drums/Tambourine) and Francis Smith (Sax). Special guests include Jesse O'Brien, Darcy Hepner, Andrew King, Kevin Matthews. This amazing album can be downloaded through and iTunes and cdbaby (where you can also get a CD rip of it). On November 10, 2013 in Calgary there was a wonderful celebration of the great roots music this country has to offer. The Canadian Folk Music Awards were handed out to some very deserving musicians. The big winners were the Good Lovelies and Jaron Freeman-Fox with two awards each. Congratulations to everyone! 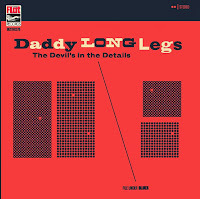 Song of the Year: Cee Cee James & Rob "Slideboy" Andrews – "I Got A Right To Sing The Blues"
With tons of Boogie Blues and hard drinkin' songs, the latest disc from Waterloo's Daddy Long Legs, Devil's in the Details (from Busted Flat Records) is the perfect musical party platter. This is no-nonsense, rattle the roof, electric blues rock meant to get ya dancin'. Blazing guitars, fiery harp playing and dynamic vocals are the order of the day here. 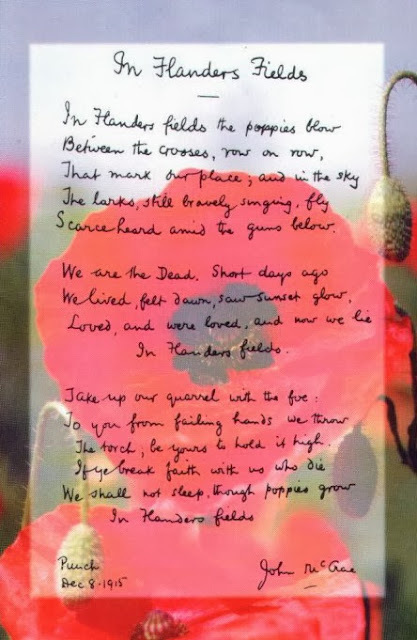 There are also a few wonderful detours such as the acoustic Dug My Own Grave, Lonely (a beautiful ballad) and a bit of cool zydeco on Borrowed Time. This rockin' CD is available at their explosive live shows and through the Busted Flat website. It can also be downloaded through Busted Flat and iTunes. 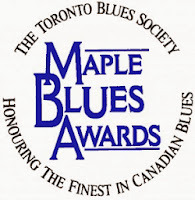 Once again, our talented local musicans were honoured with quite a few Maple Blues Award nominations. Hopefully, some of them will be receieving the kudos on the 17th annual show (run by the Toronto Blues Society) on January 10, 2014. GOOD LUCK! Steve Strongman, Harrison Kennedy, and Soulstack garnered two nods each: Strongman for Entertainer & Guitarist; Harrison for Acoustic Act & Male Vocalist; Soulstack for Electric act & Drummer (Tom Bona). Other area nominees include: Dave King (Drummer) and Brant Parker Blues Band (New Artist/Group). The largest number of nominations went to Ottawa's MonkeyJunk who were listed in six categories. It is with sadness that we announce the passing of veteran Waterloo bluesman Al Carter. He died the morning of Thursday, October 24th when he was struck by a pick up truck. Our heartfelt condolences to his family, friends and fans. 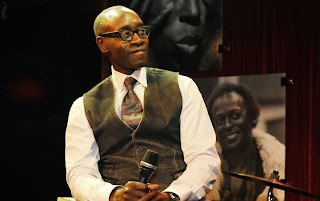 Carter (born Alonzo Carrington) played with many area musicians including the late Mel Brown and Miss Angel. Click here for the Waterloo Record story. On Wednesday, October 30, 2013, the nominees for the latest edition of the Hamilton Music Awards were announced. On November 17, there will a celebration of our amazing music scene at when the awards are given out. Click here for the Spectator story. Walk Off the Earth – R.E.V.O.